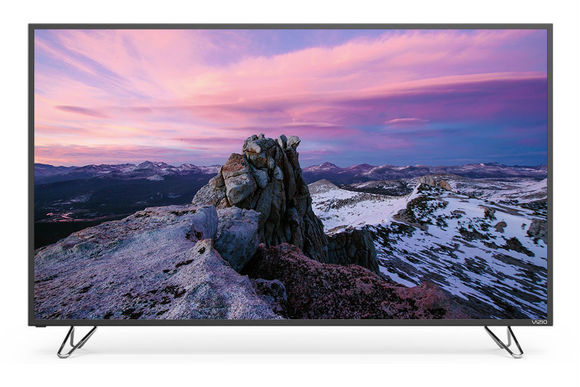 Maybe you’ve seen one of these in the club stores under the Vizio brand. There are other companies as well, that sell what they call “tunerless tv’s.” It would seem to be part of a trend to keep prices low. But really, what’s the deal? My point here is that by the strictest rules you can’t call something a “tunerless TV.” But apparently we just don’t live by the strictest rules. Vizio knows that, and that’s why they’ve taken tuners out of their TVs. The idea for tunerless TVs came about a decade ago when a lot of people had closed the book on over-the-air TVs. Antennas were a stagnant market, they said. Antennas won’t ever stage a comeback. Turns out those people were wrong. Last year was the strongest year for all sorts of cord-cutting, and that includes antenna TV. Every year, companies like Solid Signal sell more and more over-the-air antennas, and I promise the best is yet to come. With all the upcoming changes in over-the-air television you’re sure to want an antenna somewhere in your TV setup. Personally I think tunerless TVs aren’t a smart investment, but there are a few things to think about. If your TV doesn’t have a tuner, you can invest in something like the excellent CM-7004 from Channel Master. While it isn’t the cheapest tuner on the market, it offers excellent performance that’s probably better than the tuner built into low-end TVs. It also gives you a guide and basic DVR service. Recently, we’ve been talking a lot about the little AirTV Player and its antenna adapter. This streaming box comes in far lower in price than most competitors and offers one thing they don’t. You can integrate Sling for streaming national networks with your over-the-air antenna and get a pretty good replacement for any cable TV system. It all shows up in one guide and you even get DVR ability. With something like this, you don’t need a tuner in your TV, because the tuner element is part of your streaming box. While I don’t see a strong future for 4K over-the-air in the next 5-7 years, there are plenty of people who disagree. Yet, there are no TVs available today with 4K over-the-air tuners. That may change next year, or it may not. If you’re looking at a TV purchase today and 4K is important to you, it might just be that you need a separate tuner anyway. It’s your decision, really, if you want to go with a tunerless TV. It’s one option, not a terrible one and not a great one. Personally I’m a purist. I like my TV to have a tuner. That way, I know I’ll get great live TV no matter what, even if every other little dingle and dongle fails. But that’s just me.